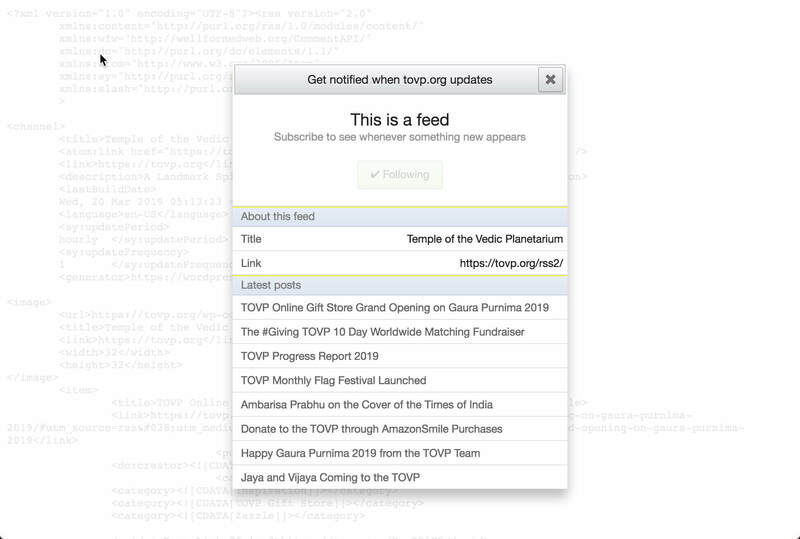 Would you like to get TOVP News through the existing RSS Feed Reader on your browser? Or if you don’t have an RSS Feed Reader we’ll tell you how to get it and stay in touch with TOVP News in realtime. An RSS Feed Reader is a technology that allows you to subscribe to your favorite websites and immediately receive articles that are posted there in realtime to read. It keeps you up-to-date with news that matters to you and is important in your life. And what could be more important than receiving regular updates about the Temple of the Vedic Planetarium, ISKCON’s most important project. MISSION 22 MARATHON KI JAYA!! THINK 22 -> TOVP NOW!